Riding an electoral wave that saw the election of Rick Perry to his first full term as governor and a large class of impressionable freshman members in the Texas House of Representatives led by a hardline Speaker, the corporate immunity lobby tilled fertile soil in 2003. Emboldened after pushing through legal restrictions in 1995 and 1997, the lobby and their functionaries in the Legislature rammed through House Bill 4 in 2003, an omnibus package of restrictions that were sweeping in scope and unprecedented in their destructive effect on the rights and lives of everyday Texans. 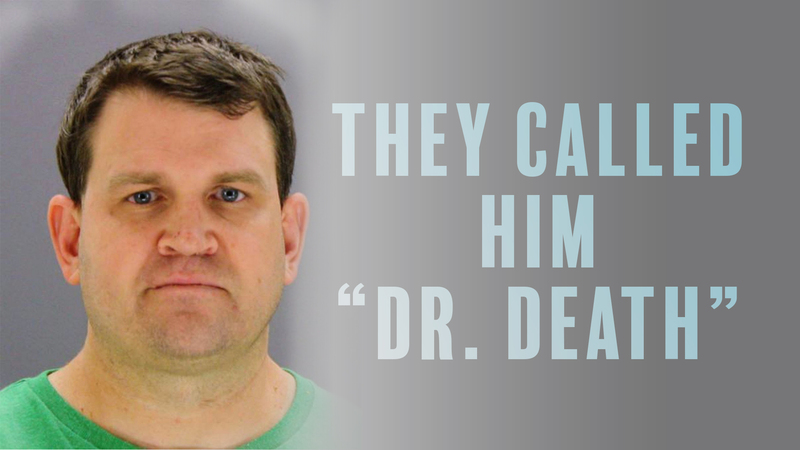 Fourteen years later, patients in Texas continue to struggle with high cost, low access health care, wrongdoers are allowed to divert and evade responsibility for their actions, and our most vulnerable are most heavily penalized by limits on their individual legal rights. Totaling 133 pages in length, HB 4 was a sprawling piece of legislation that upended and undercut myriad aspects of the Texas civil justice system. Among its most prominent provisions are those dealing with medical malpractice, nursing homes, and products liability. It has proven to be a failed experiment that ultimately sacrificed patients for profit. Nursing homes should exercise the most attentive care while helping our most vulnerable citizens live out their final years with dignity. 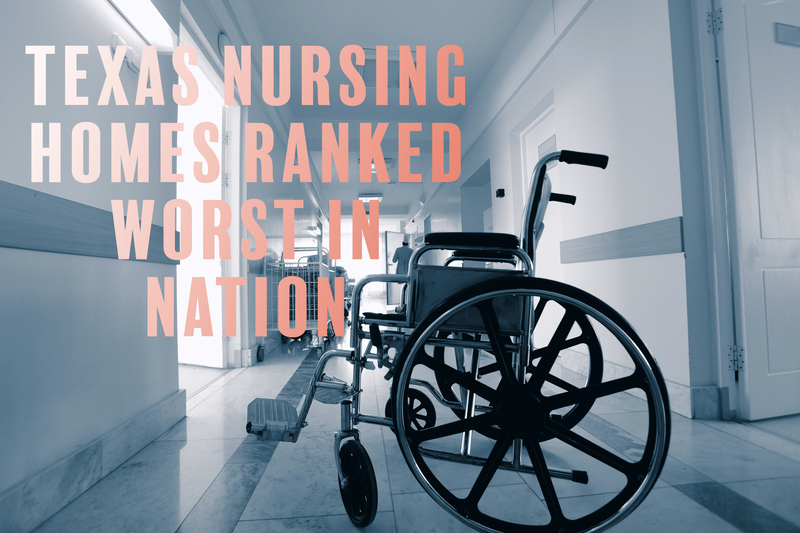 Residents of nursing homes, and their families, are counting on them to provide a professional and caring environment for those who can not care for themselves. It is in the name, after all. These should be homes, not profit-seeking warehouses. Given these stakes, it is shocking to comprehend that nursing homes were given the state’s seal of approval to “go bare” and forgo liability insurance altogether during the 2003 legislative session. You must have insurance to drive a car, but you are not required to have insurance to operate a nursing home in Texas. This means these facilities have been authorized to operate irresponsibly – with de facto immunity – as no victim’s attorney will be able to incur the expense of prosecuting their negligence without the ability to recover from the wrongdoer. You can have a case, but without the means to recover, you will not receive justice. 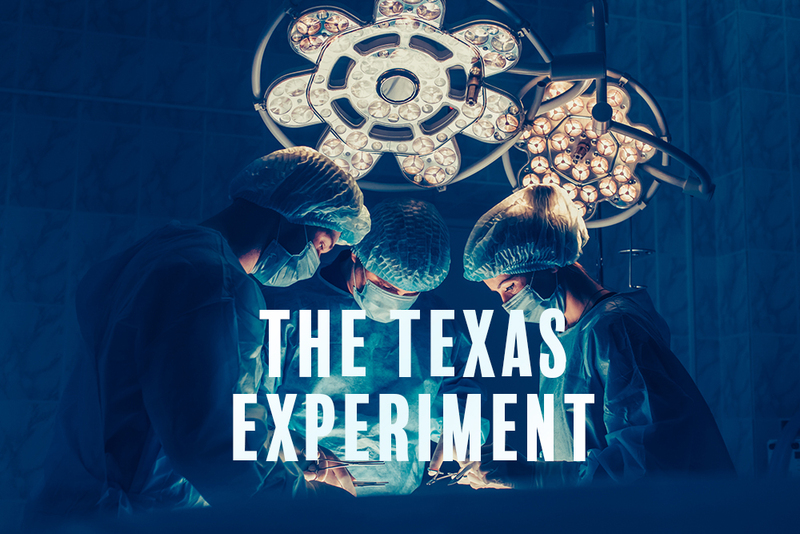 In addition, the Texas Legislature wrote nursing homes into HB 4 and made it exceptionally difficult to admit records of their administrative violations and penalties into evidence during trial. This serves no purpose other than to thwart transparency and shield wrongdoers from accountability. Section 6 of proposed H.R. 1215 reads: “A health care provider who prescribes, or who dispenses pursuant to a prescription, a medical product approved, licensed, or cleared by the Food and Drug Administration shall not be named as a party to a product liability lawsuit involving such product and shall not be liable to a claimant in a class action lawsuit against the manufacturer, distributor, or seller of such product.” A similar FDA shield has been used since 2003 in Texas. 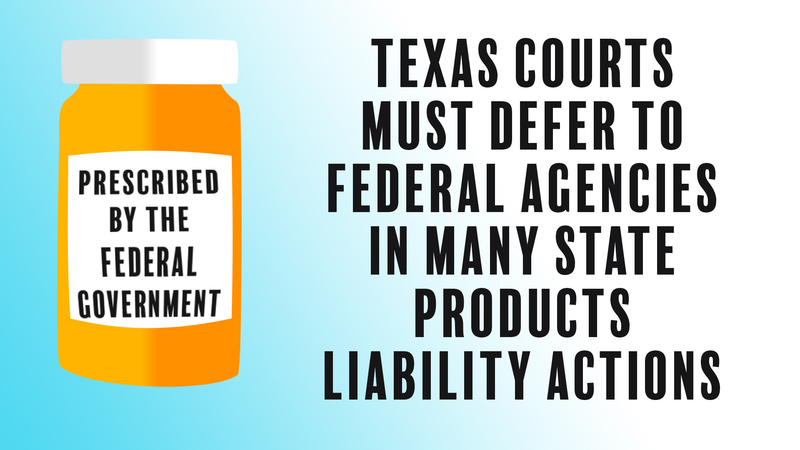 HB 4 directed Texas courts to defer to federal agencies in many state products liability actions, strange for a state that is fiercely independent and that resists federal intervention at virtually every turn. For actions alleging inadequate warnings regarding pharmaceuticals, a rebuttable presumption is created in favor of defendants if the warnings that accompanied the product were approved by the United States Food and Drug Administration (i.e., the “FDA defense”). And in other products liability actions concerning the formulation, labeling, or design of a product, a similar rebuttable presumption (i.e., a legal conclusion that is taken as true unless proven otherwise) is created for product manufacturers or sellers who show that they complied with federal regulations.